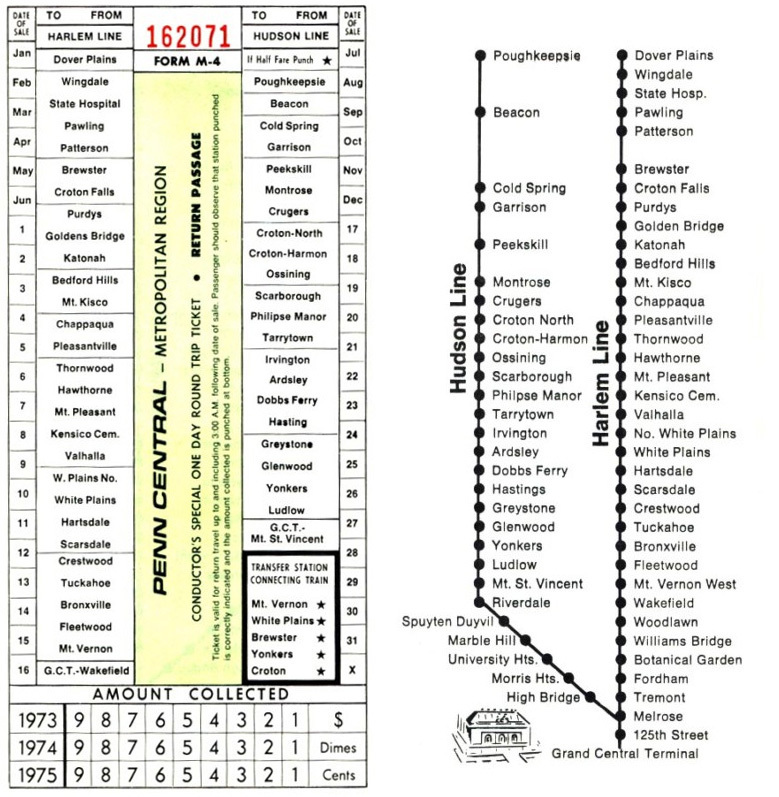 Every once and a while I get an email from some person looking for high resolution copies of what train tickets look like. I wonder if people are really that stupid… but no, by now this doesn’t really surprise me. What legitimate use would people want this for? There aren’t any. These people are looking to make forgeries. While I generally just delete emails like this outright, there are the occasional times where I want to send them photographs of really old tickets. 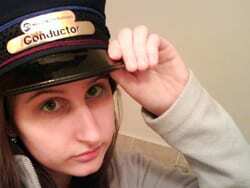 If they believed me, and attempted a forgery, it would probably give a conductor a good laugh. I mean, what would you say if some guy tried to use this on the train today? 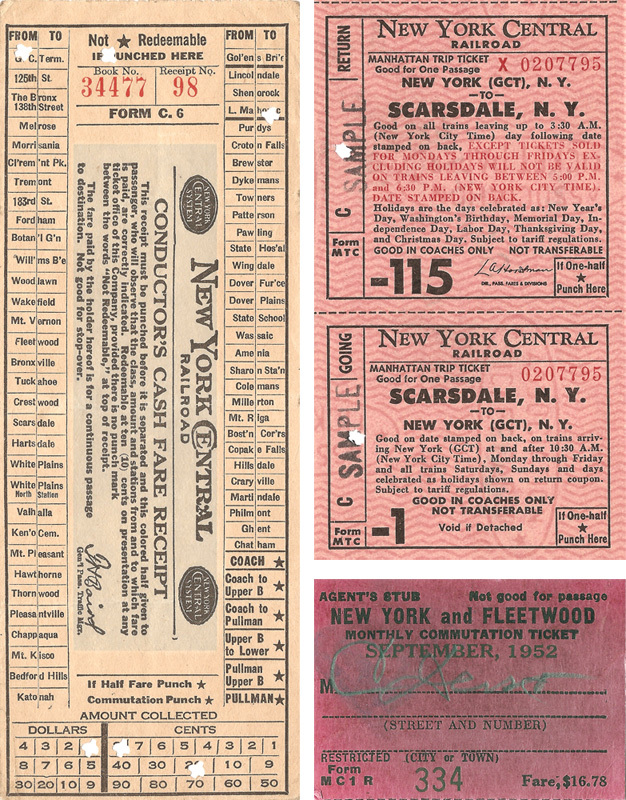 Ignoring the dimwit forgers, it is actually quite interesting to look at the evolution of tickets, just as it is to look at old timetables. I will admit that I have quite a few more timetables than I do tickets, cash fares and the like. But all the same, they are fun to look at. Below are some of the ones that I have and have scanned. Do you have any old Harlem Division tickets? I would love to see them… please email me! Then we can have a part two, because I’m apparently in love with multi-part posts. Some years ago there was a sting and a bust of ticket forgers. 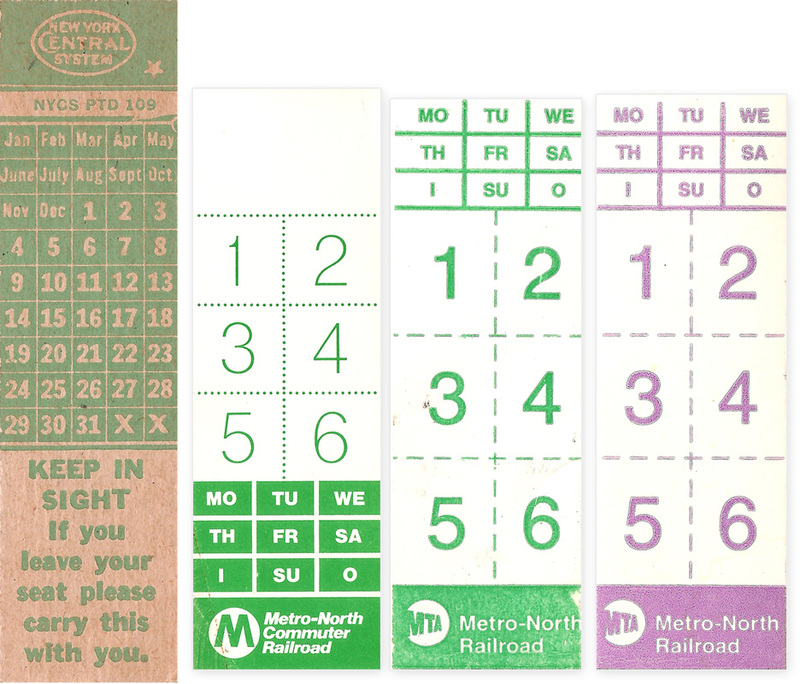 The ticket style was the thin strip kind that you show first. The forgers were predominantly highly-paid executive types who could easily afford the fare! Apparently “beating the system” is its own reward. The most recent fare beater I saw in action was a young lady who got on in White Plains heading for GCT — she calmly picked up the bench ticket from my row as she walked by — apparently so she could feign having been given it by the conductor. She moved on to the next car, so I don’t know how it worked out. I was recently talking with a bunch of other commuters who had been scammed by a guy who was forging monthly passes. Apparently the scam had been going on for weeks, then someone tipped off the T [in Boston] and they started scanning the passes. Those things are expensive! 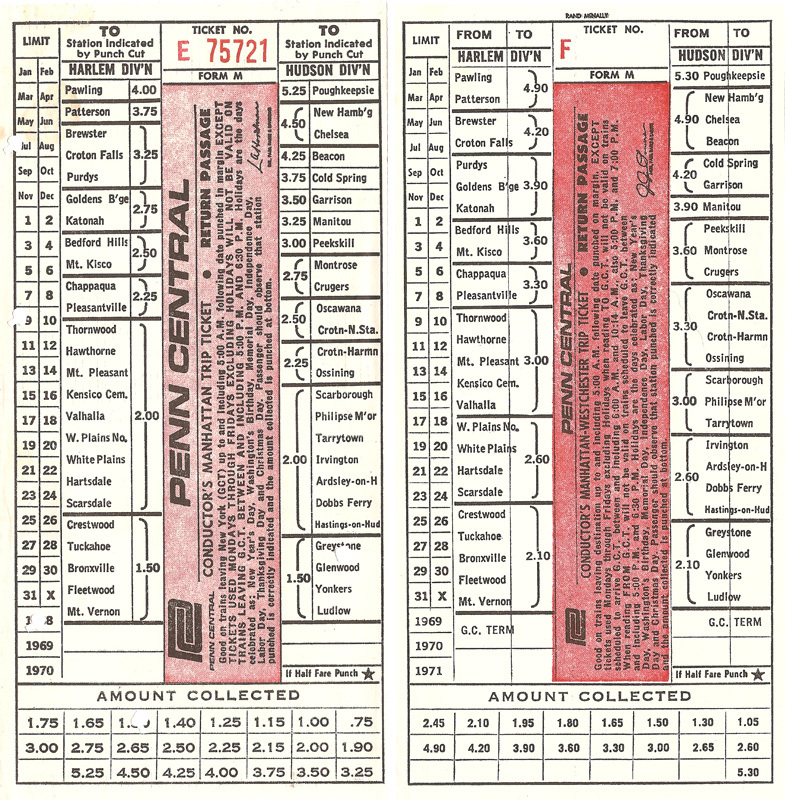 I wonder if there’s some way you can send someone the artwork for a New York Central ticket and then videotape the exchange between him/her and the conductor…that would be pretty funny, I imagine! I think the tickets are fantastic and interesting. Always my favorite thing is to see the defunct or changed stations like Thornwood. 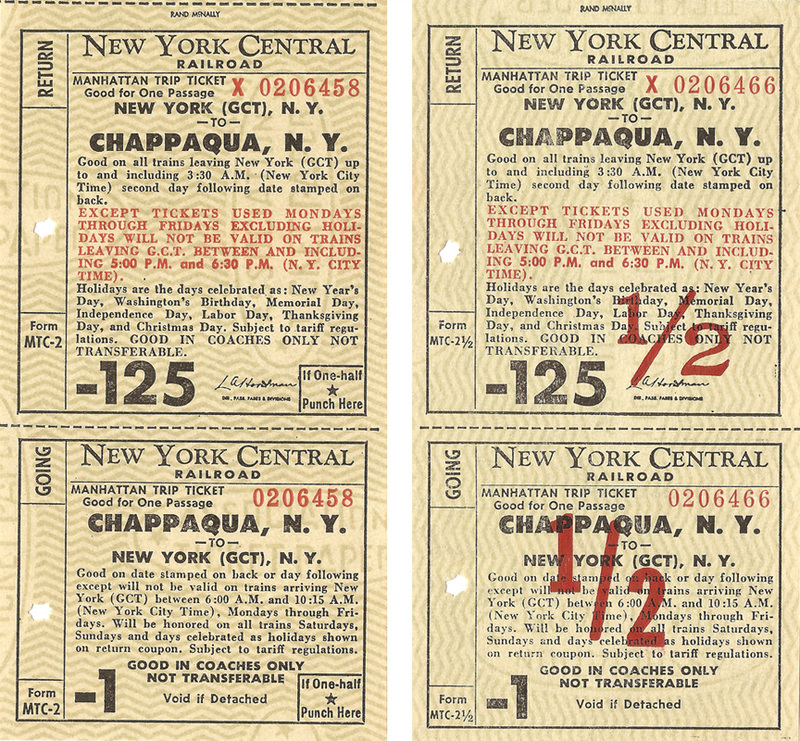 It was especially cool to see the Mahopac spur and the stations all the way up to Chatham on that old ticket! I still remember using that first ticket you posted and the ten trip. I always enjoy looking at the artwork on the tables in the dining concourse of GCT. 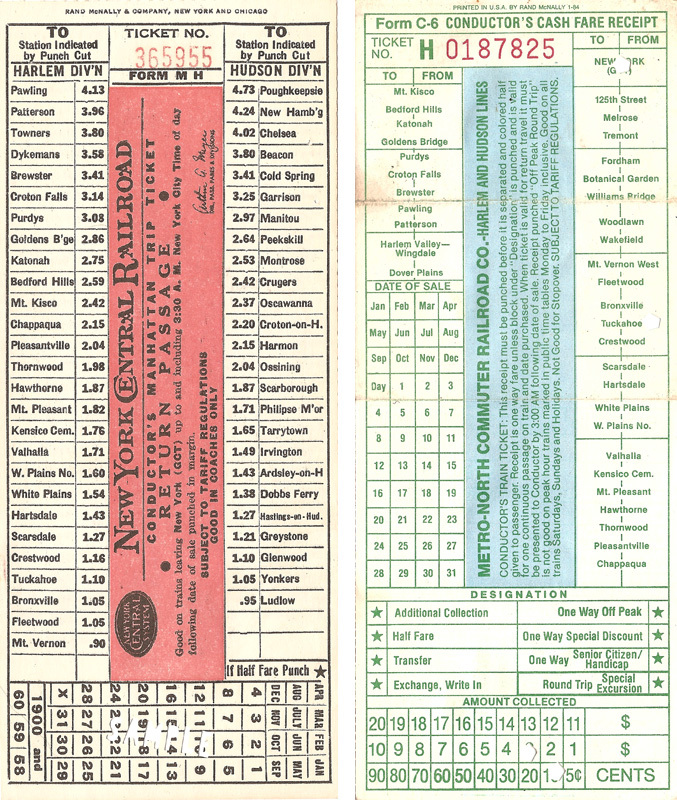 I love looking at the old tickets. Happy Birthday to the New York & Harlem Railroad – 180 years!